There are different kinds of rupture, but this discussion will be devoted to abdominal hernia. A rupture, or hernia, is a protrusion of any organ or part of the body through an opening in the wall of tissue that normally contains it. Abdominal hernia is an abnormal protrusion of some of the abdominal contents through a weakened portion of the abdominal wall. The abdominal cavity is lined by a membrane known as the peritoneum, in which are openings through which pass nerves, veins and arteries, which vessels sometimes are enclosed in special ducts. The peritoneum is reinforced by various muscles, ligaments, tendons and other tissues. When there is a lack of development of the muscles or weakening of the tissues, any one of various types of strain may cause a portion of either the large or small intestine to be forced through such an opening, thus forming an external protuberance – a hernia. Hernia is common in adult life, but usually where it develops in adults it has not been present in youth. When it develops after full maturity it usually is due to poor general health, abuse of the body, low tone of all tissues, obesity, and violence. These factors weaken the abdominal wall and as a result some part easily gives way. The groin is the weakest part of the abdominal wall, and for this reason ruptures occur here in adult life more frequently than elsewhere. Men are more susceptible to hernia than women, owing to the difference in structure of the abdominal wall in the two sexes. In the male each testicle develops in the abdomen close to the corresponding kidney and then descends late in intra-uterine life through the abdominal wall and down into the scrotum. There are external and internal rings through which these glands pass, and it is at these points where there is greatest weakening. As a rule tissues close tightly around these rings, but in quite a number of cases the rings are not reinforced as strongly as normal. Hence lifting, jumping, twisting, unusual movements and other strains result in protrusion of part of the intestine, through one or the other ring. The amount of intestine involved may vary from a small part of one loop to several loops or coils. Long-standing cases result in adhesions of the portion of the peritoneum involved, or the formation of fibrous bands, either of which may complicate the condition so as to prevent reduction or replacement of the projected part of intestine. This results in an irreducible hernia. A reducible hernia is one in which the intestine can be replaced easily. 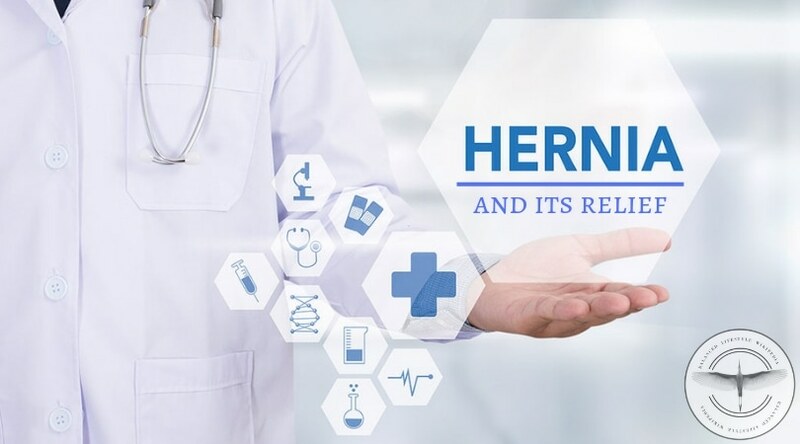 An incarcerated hernia is an obstructed hernia: one where the intestinal loop or loops remain through the hernial opening but in which the circulation is maintained so that gangrene does not develop. A strangulated hernia is one in which the protruding portion of the intestine is caught and is irreducible, and in which the circulation is shut off owing to pressure. Gangrene will develop within a short time in these latter cases. Hernia not infrequently develops in women during pregnancy owing to the extra pressure on the abdomen and because of overeating and constipation. Spontaneous correction of rupture is not infrequent, by the use of a truss and proper exercise, also the avoidance of additional strain. This spontaneous correction takes place more in childhood and youth than in adult life. Inguinal hernia forms about seventy-five percent of all cases of hernia. It usually occurs on the right side, and most commonly in men. 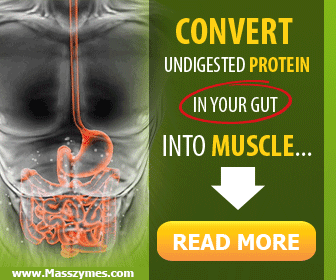 In this case there is a protrusion of intestine through the groin, having made its way through the inguinal canal. As a rule general muscular vigor and normal nutrition will prevent this type of rupture, and these conditions are necessary in the natural correction of it. A direct inguinal hernia is one which does not come down through the inguinal canal but protrudes through the abdominal walls at the external ring. These are located higher in the abdominal wall than the inguinal hernia. A femoral hernia is one appearing in the upper part of the thigh. It is more common in women, but less common than inguinal hernia. Scrotal hernia is a form which appears in the scrotum. Usually this is due to a developmental defect; but even without this defect, if there is lack of tissue-tone or if there is some special strain this type of hernia may develop. It somewhat resembles hydrocele, but it can be reduced when lying on the back, and especially by manipulation. Also there is an impulse detected upon coughing, and it has an entirely different feel from hydrocele. An umbilical hernia is one at the umbilicus or navel. It is quite common in newly born infants, as this location is comparatively weak owing to the entrance of the umbilical cord. It may develop even in normal babies who do considerable violent crying. It not infrequently results from tight binding of the abdomen shortly after birth. This type of hernia may exist in women also, especially large women who bear many children. If tissue tone is good no woman need fear this condition. This is a mechanical condition and requires surgical correction when the tissues locally and generally are so weak and spread so far apart that exercise and other natural measures will be unlikely to bring about normal tone and bring the tissues together. The injection treatment of hernia is replacing surgery to an appreciable extent. The treatment consists of injection of special substances into the opening, this causing a proliferation of tissues so that in time there is a closing of this opening. Where one wears a truss during the treatment, which may extend over several months, it is possible to be up and around. This type of treatment sometimes is unsuccessful and the condition will recur, and the same thing may happen after surgical treatment. A great many people, however, have corrected hernia by natural means, and particularly by proper exercise. One with hernia should build or have made a satisfactory table or support that can have one end twenty inches or more higher than the other end — the table or board being six feet to six and a half feet in length. There should be hand rails at the side if a table is used, and a strap at the higher end under which the fronts of the feet can be slipped for certain movements. One lies on this table or support head downward. At first it will be necessary to begin with very light movements such as bending the knee to the chest. Whatever movements are used they should be the same on the two sides, even if there is rupture only on one side. The movements used may include the following: Bending the knees to the chest, singly, alternately and together (in fact many of the movements should be performed with one leg, then the other, then alternately, and then the two together); after raising the knees to the chest, extend the legs upward, back to the chest and extend to the table and repeat; after extending the feet upward as in the above movement, lower them while straight down to the table; extend them overhead and slightly separate the feet and close; separate and cross in a scissors movement, first one over the other, then reverse; after extending upward perform bicycle riding movements; extend upward and sway both together right and left repeatedly. More strenuous movements are those in which the legs arc raised from the extended position, the above movements being performed after they have been raised to the vertical. Owing to the special muscular hookup in the groin, it is always better in case of rupture or of weakness likely to result in rupture, to bend the knee slightly before raising the leg to the vertical. When the leg is raised perfectly straight there is a strain put upon the tissues in the groin because they are “off guard.” Bending the knee places them “on guard,” after which the leg may be raised without further danger. Still more strenuous exercises are performed by placing the ankles under the strap and raising the upper part of the body. At first only the head should be raised; then the head and shoulders; then to a partial sitting position; and finally to the sitting position. Then while in the sitting position the trunk may be rotated right and left. Later the body may be slightly rotated before beginning the sitting-up movement; also the trunk may be rotated right and left, and left and right. It is important that a properly fitted truss be worn during these exercises until there has been considerable strengthening of the affected tissues. However, if the hernia is comparatively small, full protection may be given by holding the hand over the hernial area. But because this may be inadequately done, it usually is better to have a truss. Additional types of exercise are walking on the hands and feet; also lying face down and raising the hips, especially while lying head down on the slanting table. These are not straining movements and they have a good effect upon fibers reached differently by the face-up exercises. With the patient lying on the side the upper leg may be raised and circled and moved forward; but as a rule it is advisable to avoid moving the leg backward. Both ankles may be under the strap and the trunk raised while lying on the side, also. Five minutes at a time is sufficient at first for the exercise period, taken twice a day. It may gradually increase to twenty or thirty minutes when there results a progressive improvement. The cold sitz-bath should follow the exercise treatment. If this is not convenient then cold cloths may be applied to the hernial area. Another very good type of treatment to use after the exercise and before the sitz-bath or cold application is gentle massage around the opening of the hernia. This should be circular and should continue sufficiently to centralize circulation at this point for a few moments. It is very important that the patient with hernia avoid constipation and the distension of the abdomen with gas and with an excess of food and food waste. It is very beneficial in these cases to use a fruit diet for a few days, with a daily enema, in order to clear out the intestinal tract of any accumulations and to correct intestinal function. No specific diet is necessary, for diet has only an indirect effect upon rupture. However, the diet should include the natural foods — an abundance of raw and cooked green vegetables, all classes of fruits, whole grain products, milk and cottage cheese, and egg yolks particularly. The milk diet is not of particular benefit in these cases, but a quart or two may be taken daily if provided for in selecting the rest of the diet. 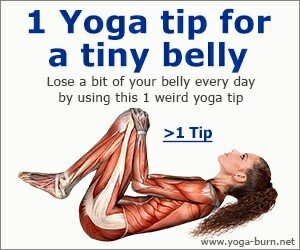 Such a diet and the exercises suggested usually will result in normal bowel elimination. If not, then it would be well to use mineral oil, agar-agar, or psyllium seed, or their emulsions, or bran, or any other of the physiologic bowel aids procurable on the market. The truss should not be dispensed with until there has been a restoration of the tissues practically to normal. One should avoid a cheap truss. It should be as good as can be procured and it should be properly fitted. There are many worse things than having to wear a truss throughout one’s life, but as a rule where the treatment outlined above for correction of the structural defect is persistently followed it will often do away with the necessity of wearing a truss.